Purchase online TDA2030 Hi-Fi Audio Amplifier in India at low cost from DNA Technology, Nashik. 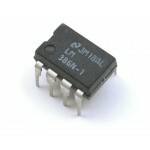 The UTC TDA2030 is a monolithic audio power amplifier integrated circuit. TDA2030 is 18 watt Hi-Fi Audio Amplifier. 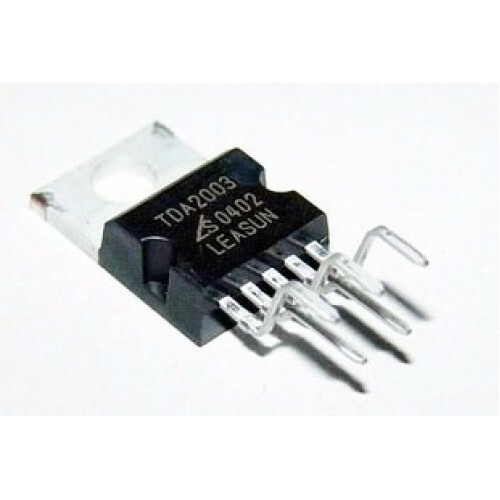 The TDA2030 Audio amplifier provides high output current and has very low harmonic and cross-over distortion. Further the device incorporates a short circuit protection system comprising an arrangement for automatically limiting the dissipated power so as to keep the working point of the output transistors within their safe operating area. A conventional thermal shut-down system is also included. Very low external component required. High current output and high operating voltage. Low harmonic and crossover distortion. Short circuit protection between all pins. Safety Operating Area for output transistors. TDA2030 Audio Amplifier ModuleWant to increase the audio output capability of your project? Well the..